Hello Doodlebug Fans! I'm so excited to finally be sharing some projects from what I think just might be my all time favorite Doodlebug collection ever: Springtime! To me it epitomizes everything I love about Doodlebug! First up, I have a layout to share. As soon as I saw the rainbow gingham print, I knew I had to go in search for some old photos of my daughter wearing a dress in almost the exact same print. I tried my best to capture all the rainbows and happiness this collection embodies! I diecut a rainbow on my Silhouette using a mix of different cutting files and cut my clouds from cardstock with a slightly larger vellum shadow. I wanted to emphasize the translucent quality, but also still hide the bottom of my rainbow and this totally did the trick! Next up is another layout, this time using the darling new Springtime Mini Garland. Love the detail in the darling flowers and leaves--It was almost too cute to cut into! I set out to create a flower border to extend the flowers in my photo. For a subtle touch I layered some Limeade Sprinkle Vellum for my grass and poked holes and stitched on Limeade bakers twine for my stems. I also couldn't wait to play with the Mini Kites Craft Kit so I created a quick little Easter card using one of Doodlebug's Slim Filagree Cards along with sprinkles for my knots and more adorable icon stickers. Isn't that little bunny sticker completely irresistible?! For my last project I made a bridal shower card using a Tangerine Polka-dot card base. I love how these umbrellas will work for Spring themes as well as for Baby and Bridal showers! I want that bunny card. It is adorable, and so is the rainbow LO. Great projects! Mendi these are all awesome...I especially love those twine stems and your rainbow! So fun!! 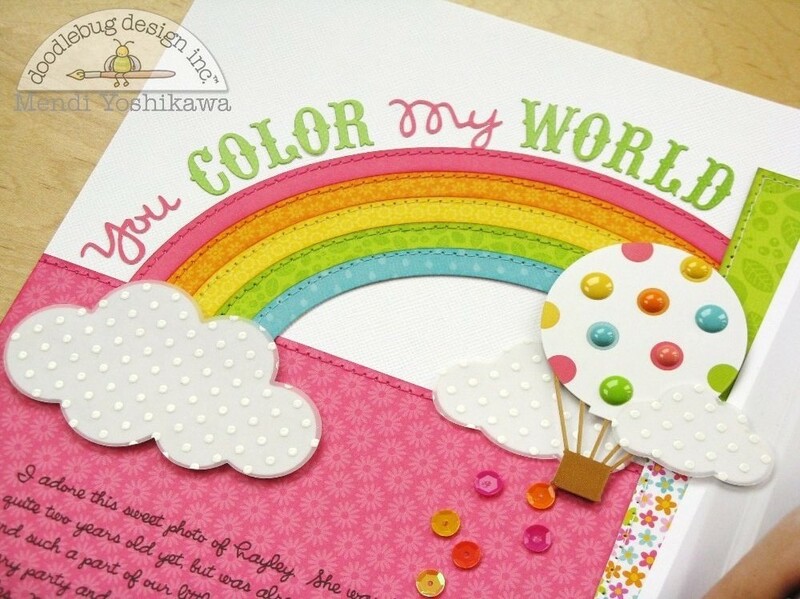 Pinned that adorable color my world lo. Love the sequins and enamel dots! Love it all! Pinned to Pinterest!!! I agree! Love this collection so much! Lovely layouts, had to pin on my Scrapbooking board! More projects to Pin! Love this collection! Shared on fb! Love this collection!! Love these ideas and more pinning going on!! Love the bright colors on these projects - makes me think spring might actually arrive someday! Very cute projects... pinned the scrapbook page. waooo que hermosura, amo estos papelitos y lo colorido que son. El LO lo ame!!! Love all of the gorgeous spring time projects! The colors are absolutely amazing and my absolute favorite! I just love the Springtime collection. I am pinning your ideas, they are just too cute! 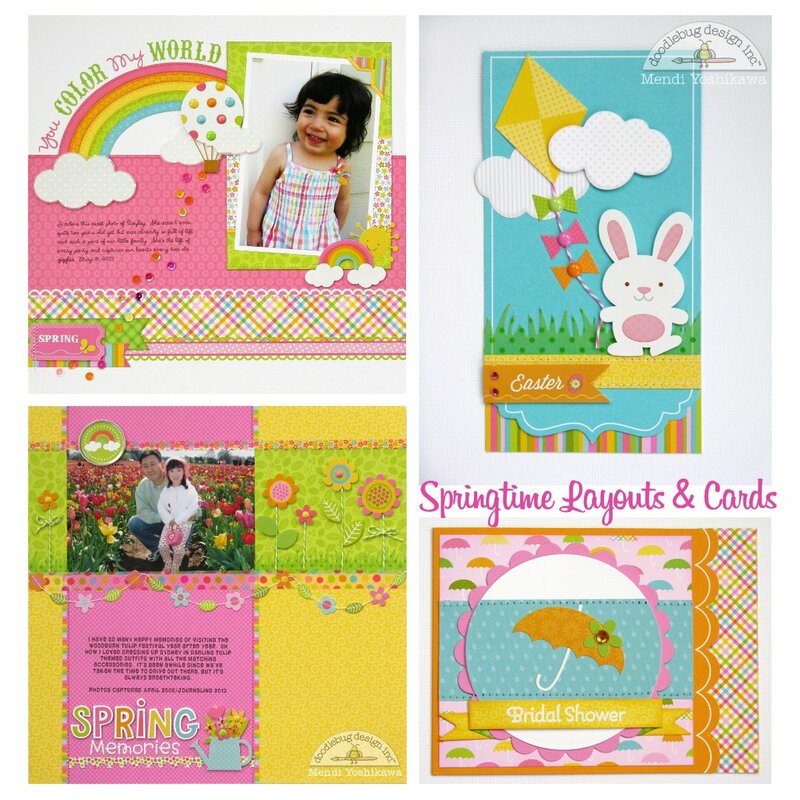 LOVE these spring LOs and cards!! The Woodburn Tulip Festival is GORGEOUS!!! We used to live in McMinnville and Woodburn is not that far away from there. Such a lovely sight with all the tulips in bloom!! 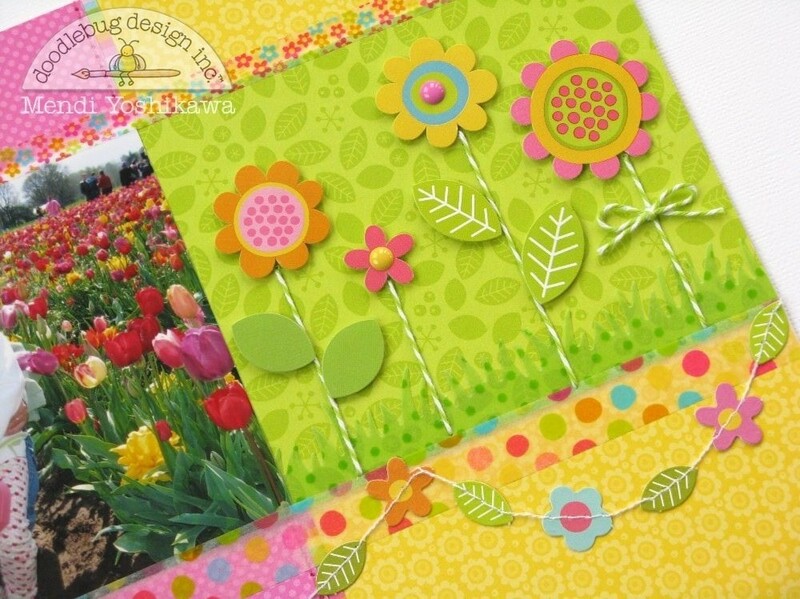 What a bright and inviting LO you made featuring those incredible tulip fields. Makes me want to make the trip to Oregon from here in Idaho to go see them again this year. I am off to get pinning some of your fabulous projects!!! Love that collection and what you did with it is amazing! 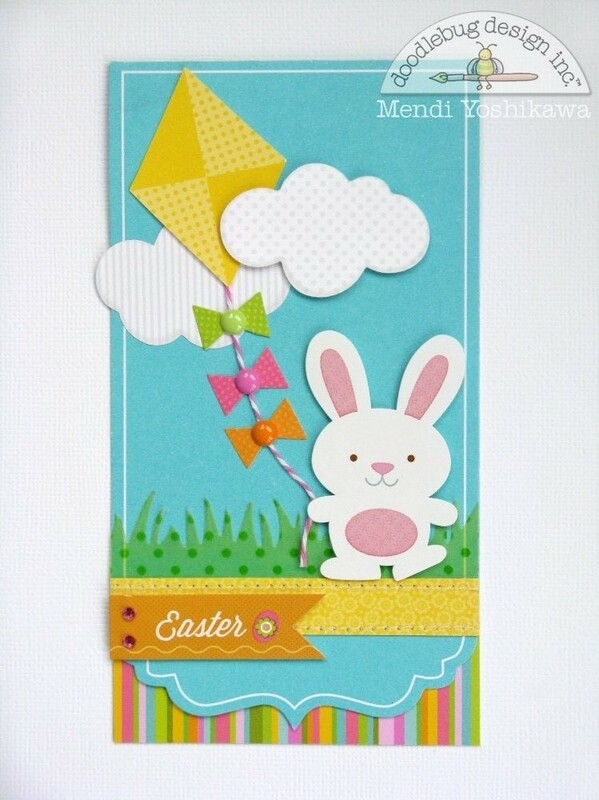 Mendi, Love that bunny card with the kite!! So adorable!! You totally nailed it on each of your projects!! Good for you!! very bright and lively, I love the colors, great layouts! 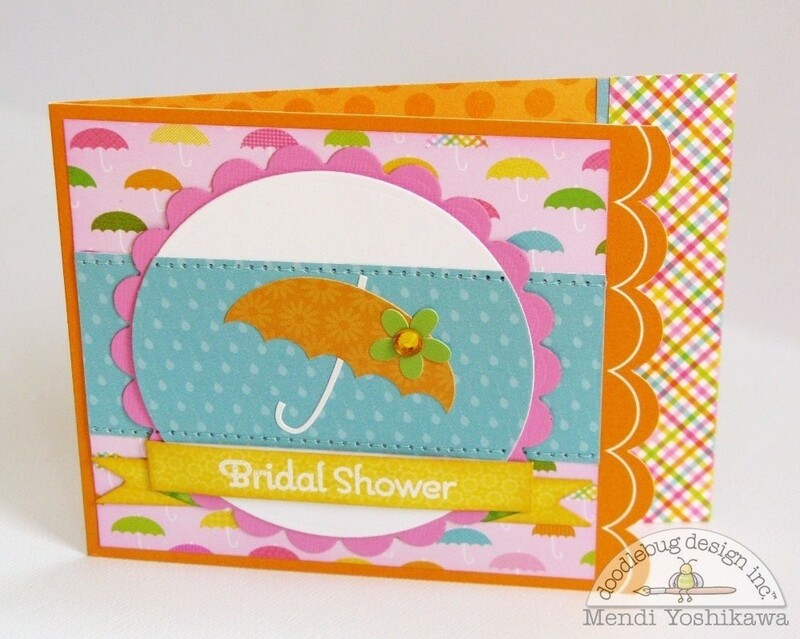 DELIGHTFUL layouts and SUPER CUTE cards Mendi!!! I pinned that cute bunny card for Easter! Great projects! I love the inspiration from your site. Those papers just make everything so darn adorable. Mendi rocked this and I totally shared it with my facebook peeps!! Every project is just fabulous! Love your comment about buying a dress for your daughter that matches a paper! I know you're not the 1st person to do this though! Just wonderful projects! Love them!